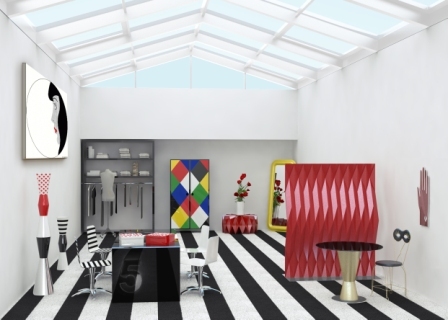 Authentic Moschino style is enhanced and narrated through Altreforme furniture, products that mix technologies and innovation with irony and creativity. 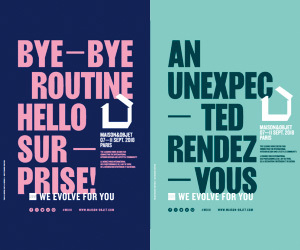 The usual brand surrealistic theme has been accurately interpreted by “the aluminium tailors”, to create furniture elements of style and quality. 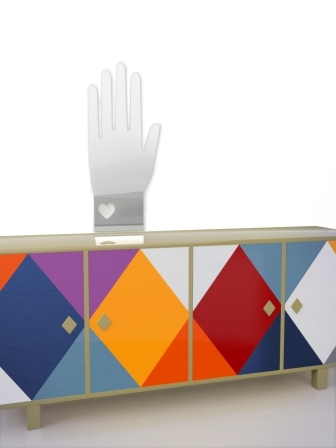 The line of furnishings is characterized by funny and unusual shapes, entirely made ​​of aluminium, it is composed of furniture and accessories like a multifaceted table, a very original chair, three lively coloured cabinets, a glove shaped mirror, a dividing panel with geometric shapes and a series of customized boxes which archive Moschino prints. 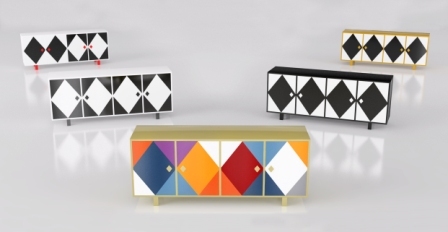 The choice of bright colours and unusual but elegant combinations, recall the symbolic universe of the Arlecchino character. 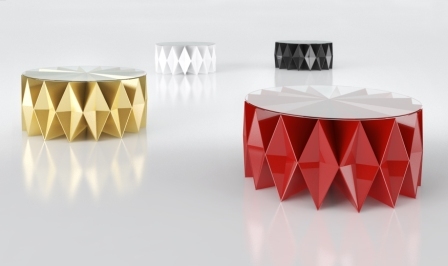 The products featured in the Milan Fair included the Colletto side table. Here the Aluminium is shaped like a sheet of paper, recalling the iconic Arlecchino’s collar; the colours are applied with metallic effects enhancing the challenging geometry of this product. The Plissé divider is a set of modular metal walls or free-standing dividers that reveal intricate geometries obtained on aluminium through a complicated processes of cold pressing. 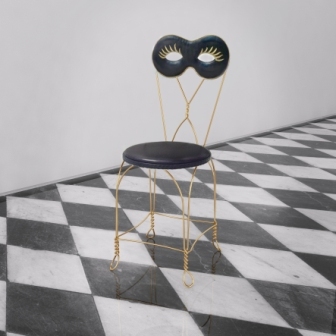 The Maschera chair has golden aluminium wires that wrap around the maschera seat made ​​of soft leather; creating an ironic, fairy-like product. 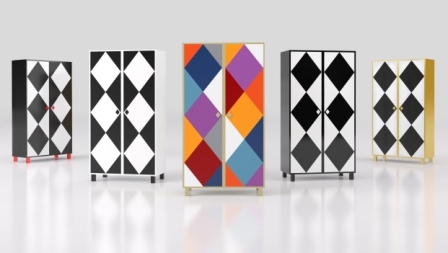 The Camicia cabinet is a multi-coloured rhombus cabinet to contain elegant clothes and accessories. 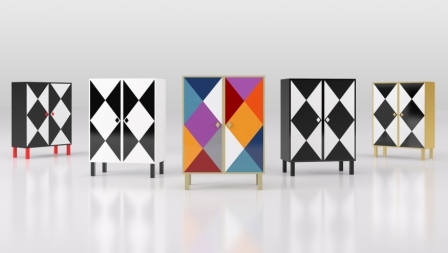 The Camicia corta cabinet harmoniously conjugates elegance and colour. The Guanto mirror has a funny expression of elegance and refinement, the glove becomes a mirror to cheer and brighten the walls of your room. Icona boxes illustrate the most famous Moschino archive prints. A container to hold the most deserving memories.